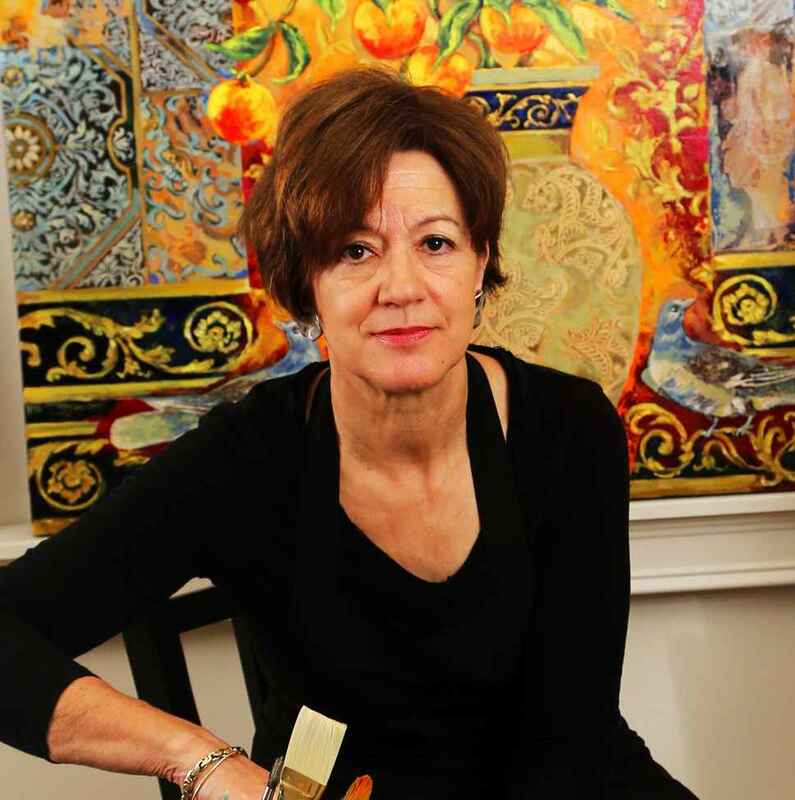 Kate Steiger developed her original technique of mixed media painting while a student at the Rhode Island School of Design in Providence, RI. After graduating and working as a textile designer in New York City for several years, she moved to the Washington DC area and began exhibiting her paintings in galleries and working for a graphic design firm. Kate went on to have over twenty one-woman shows in the Washington DC area. After living and working on the East Coast for most of her career, Kate relocated to the Seattle area in 2007. Her new studio in Edmonds gave her the opportunity to work on larger canvases and continue her exploration of color, pattern and collage. Finding inspiration in the evocative landscape of the Pacific Northwest and its Asian influences, Kate began to explore new techniques and subject matter and participate in the rich artistic and cultural life of the area. Steiger’s work has been juried into exhibits at numerous Seattle galleries as well as the Schack Art Center, and has garnered many awards. Her paintings are in private and corporate collections throughout the United States, including the Stanford University Medical Center, The National Institute of Mental health, Hilton Hotel and the Purina Corporation.